i have that scan and i exracted it and was going to make a wall from it but i forgot about it. Amazing bg, btw: could you please tell me (PM) where did you downloaded the brushes ;) thk anyway. 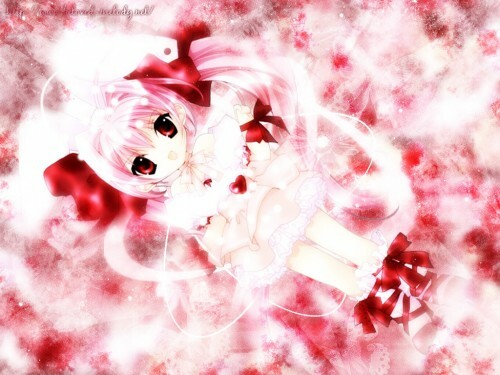 Back to the wall...... you chose a Digi Charat character ... as always it turn out with a good extraction in a light pink wallpaper.